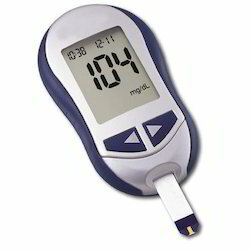 Pioneers in the industry, we offer glucometer and glucose digital refractometer from India. 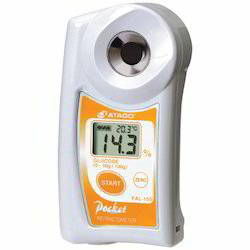 Easy measurement; place a few drops of the sample in the well and press the READ key, BEPS (Battery Error Prevention System) alerts the user in the event that low battery power could adversely affect readings. Single point calibration with distilled or deionized water, Small sample size, can be as small as 2 metric drops. Stainless steel sample well, easy to clean and corrosion resistant, ABS thermoplastic casing.